I am pleased to announce that my latest project, a collaboration with my friend and colleague Alan Tidwell at Georgetown University's Center for Australia, New Zealand and Pacific Studies (where I am a nonresident senior fellow), has been accepted for publication by Routledge Books, and came to press on October 12, 2015 -- 523 years after Columbus infamously made landfall in the Americas. 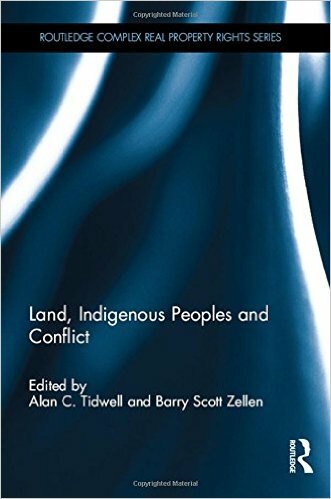 The work is called Land, Indigenous Peoples and Conflict, a comparative global look at the relationship between indigenous peoples and the state, and the diverse solutions to the many land conflicts between the first peoples for whom these lands are their traditional homeland, and the modern states that assert sovereignty over those lands. Visit the book's page on Routledge's website here.